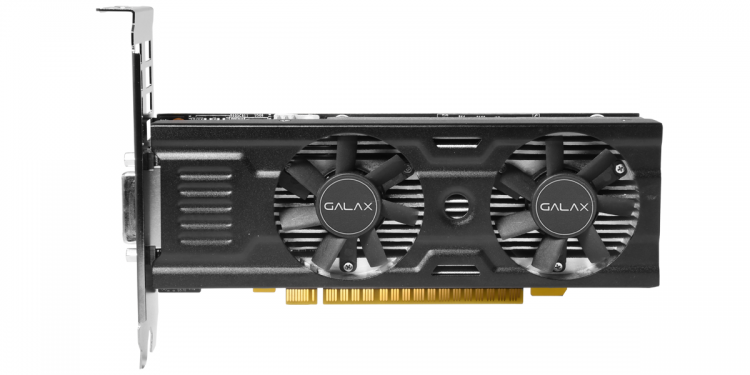 GALAX released low-profile versions of their GTX 1050 and GTX 1050 Ti graphics cards thus expanding the brand’s GTX 10-Series line up. 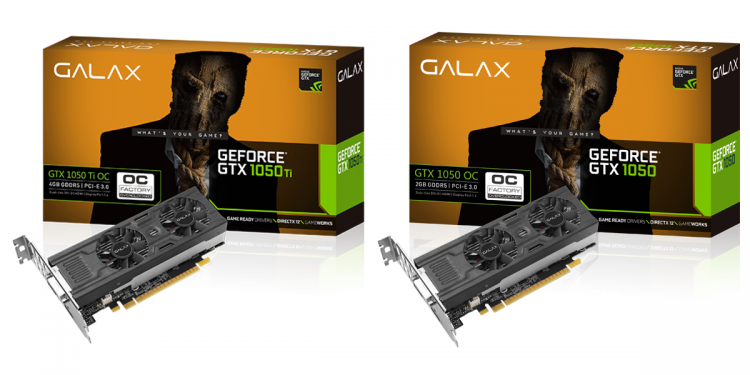 Both the GALAX GeForce GTX 1050 OC LP and GTX 1050 Ti OC LP cards are only 68 mm in height, half the size of a typical GTX 1050 card variant. With such size, the cards are ideal for small form factor builds. Even with a small and compact size, the efficient thermal solution comprising of dual fans and pure copper base heat sink does an excellent heat dissipation. The GALAX GeForce GTX 1050 OC LP and GTX 1050 Ti OC LP offer efficient cooling with full load temperatures of 60-degrees Celsius and idle temperatures of only 34-degrees Celsius. The cards also offer a wide selection of connectivity including DisplayPort 1.4, HDMI 2.0B and DVI-D. 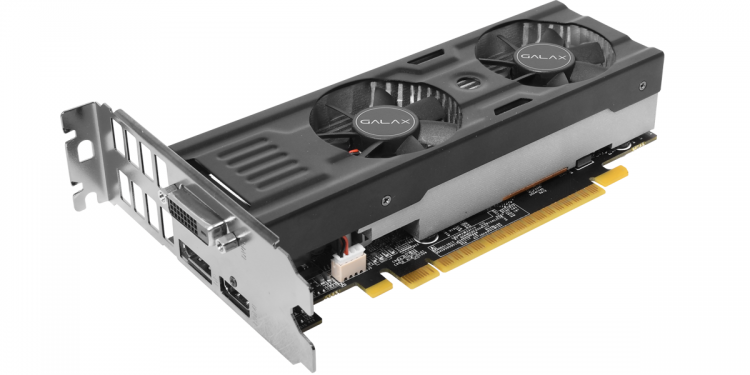 Equipped with a pure copper base and dual fans, the GALAX GTX 1050 OC LP and GTX 1050 Ti OC LP cards can achieve a highly-efficient heat dissipation, enable the graphic card to maintain consistent performance at all times. High-quality components are used to craft the PCB along with the optimization of electrical circuit, the performance of which is overwhelmingly better. The GALAX GTX 1050 OC LP and GTX 1050 Ti OC LP feature a 2+1 phase power supply, 2 phase responsible for core and 1 phase for memory. This ensures the graphics card’s stable performance.